CARMEL, Ind. 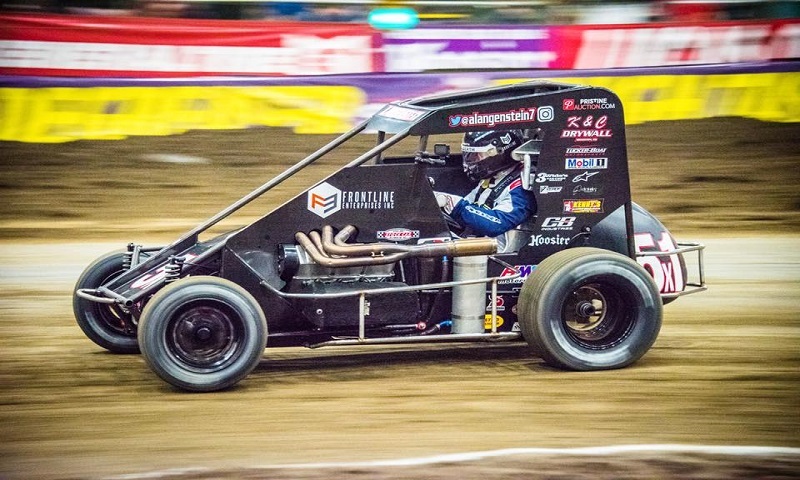 — Prominent Indiana businessman Joe Murello announced today that he will field a USAC P1 Insurance Midget for up and coming race car driver Austin Langenstein, 25, at the Driven2SaveLives BC39, being held at the Indianapolis Motor Speedway on September 5 and 6. The event will honor the late Bryan Clauson and will be held on the new quarter-mile clay oval located inside Turn three of the speedway. The BC39 will be held in conjunction with the NASCAR Big Machine Vodka 400 at the Brickyard, taking place during the week prior to that event. Mr. Murello was a long time friend and supporter of Bryan Clauson having a association with Jonathan Byrd and the Byrd Restaurant and Hospitality Group in Bryan’s 2015 and 2016 Indianapolis 500 efforts. Langenstein was humbled by the opportunity and looks forward to taking part in the race. Langenstein will drive for the same team that gave him such a great car in Tulsa last year, Tucker-Boat Motorsports, one of the most prominent and knowledgeable teams in open wheel racing. Giuseppe’s Italian Market in Noblesville, Indiana will be the exclusive marketing partner on Austin,s race car. Giuseppe’s Italian Market features 100% Italian food and is primarily focused on carry out service.